It’s never too early to get your kids hands-on in the kitchen and teach them the basics of cooking, plus as we approach Thanksgiving, it can be the perfect time to introduce your little ones to the joys of preparing food for the ones you love! For many time poor and frazzled families, the thought of cooking with little ones and the resulting mess can strike fear into the heart of even the most relaxed cooks. These age-appropriate guides and simple recipes are the easiest way to get little ones involved — reducing stress, helping to manage expectations and ensuring that time spent in the kitchen is more enjoyable for everyone (adults included!). Motor skills are all actions that involve your child using their muscles. While larger motor skills like crawling, running and jumping may be more developed in younger children, the finer skills may not be so developed. Getting your child hands-on in the kitchen, playing with flour or cutting soft veggies with a plastic knife provides a great fine motor skill workout… very important, come school time. Often, we can feel like we’re lecturing our children when we try to talk about food, nutrition, and healthy eating. When you’re cooking with your child, it can be the perfect opportunity to spark conversations about the foods you’re cooking with and how they will help to keep the body healthy. Simple conversation starters such as, “Did you know, oranges are full of vitamin C to help you not get sick,” or, “Eating whole grain pasta will give you the energy to play for longer at the playground,” can be a great way to seamlessly educate your child about nutrition in a relaxed setting. This is a good one for fussy eaters! Some children tend to become fussy eaters and start to refuse certain foods simply because they’re unfamiliar. 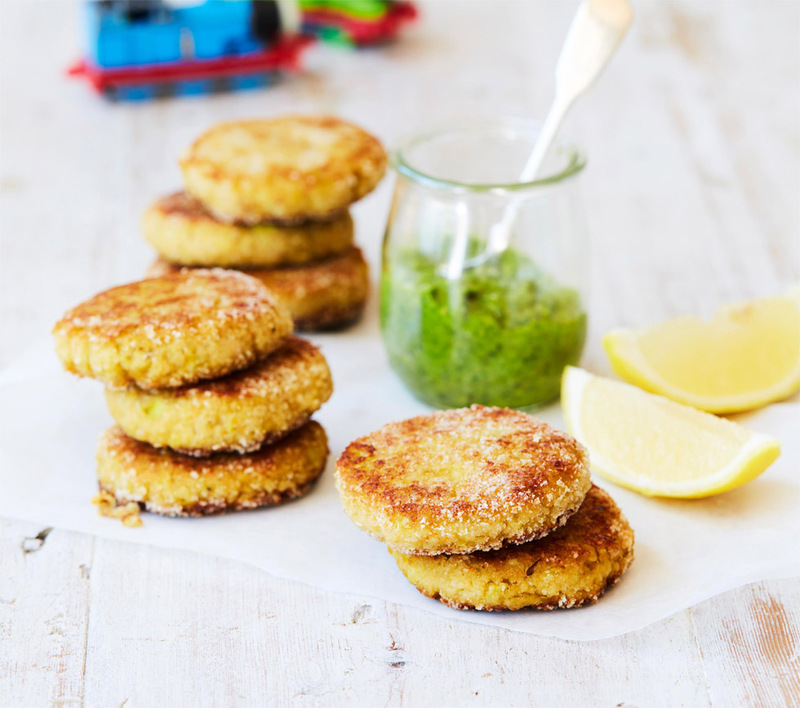 By involving your kids in the kitchen however, they can become desenzitised to new foods and encouraged to try new things through repeated handling and exposure in a stress-free environment where eating isn’t the key focus. Who said learning had to be boring? 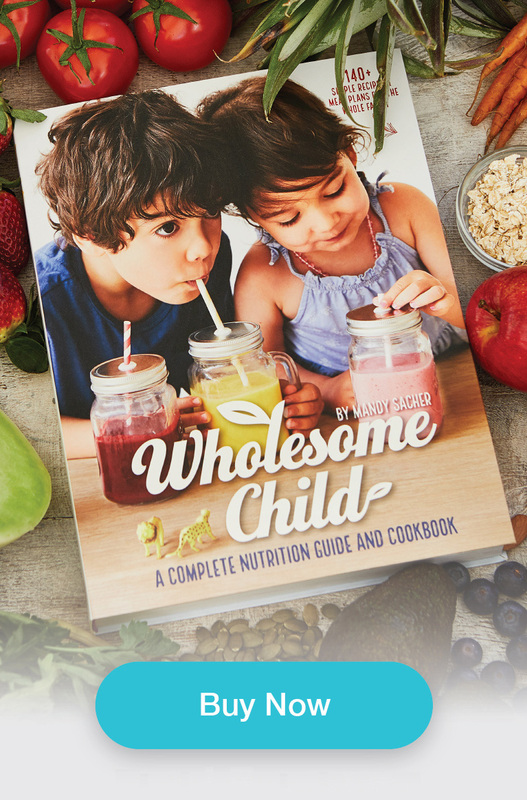 While initially kids may need assistance to read and follow recipes, soon they’ll start to recognize ingredient names and measurements on their own. Before you know it, you may be able to enlist their help to create a full family meal by themselves. Washing and peeling veggies – this is an excellent way to expose kids to as many veggies as possible. 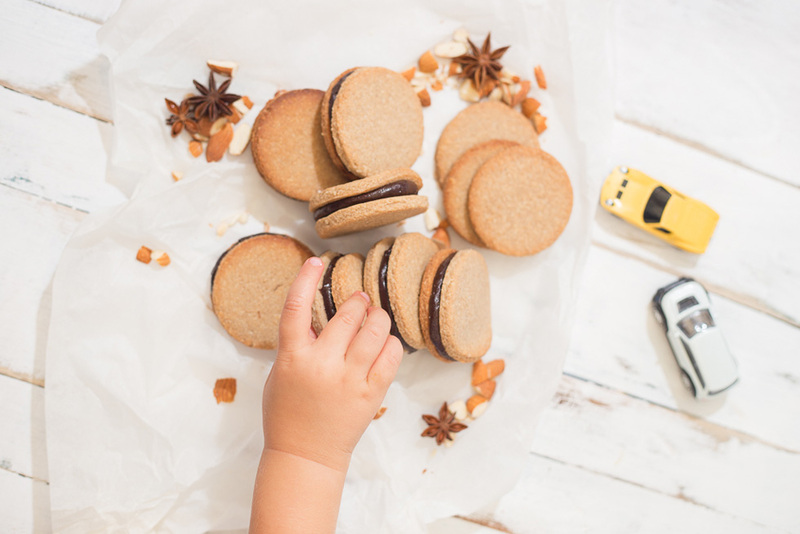 Mixing ingredients – using a large wooden spoon whilst encouraging them to hold the bowl with one hand, is an easy way for your child to mix together the ingredients for these Almond and Buckwheat Vanilla Cookies before they mold them. Molding cookie dough or bliss ball batter – after your child has mixed the ingredients, give them some dough to roll into their own cookies. Measuring – placing all the ingredients in measuring cups (assisted) into a big bowl. By this stage, your child may be able to follow a simple recipe and understand basic instructions, so it’s a good opportunity to let them become more hands-on in the kitchen. Cutting and chopping soft fruit and veggies – invest in a kid-friendly knife and let them chop fruit, or even soft cheeses and bananas for snack time. Sieving – this one can become a little messy, but letting your child sift ingredients can help those fine motor skills develop as they learn to balance the sieve over the bowl. Crumbing – now your kids will be really hands-on. Let them roll these Tasty Salmon and Millet Rissoles and then coat them in rice crumbs before they’re baked. Rolling and cutting cookie dough – choose plastic cutters and small rolling pin. By now, your child may have more developed motor skills, as well as improved reading and numeracy skills. While children should always be supervised in the kitchen, it’s a good chance to let them have some freedom to follow basic recipes by themselves. Measuring – let them follow the recipe to the best of their ability, measuring out the ingredients as they see fit. 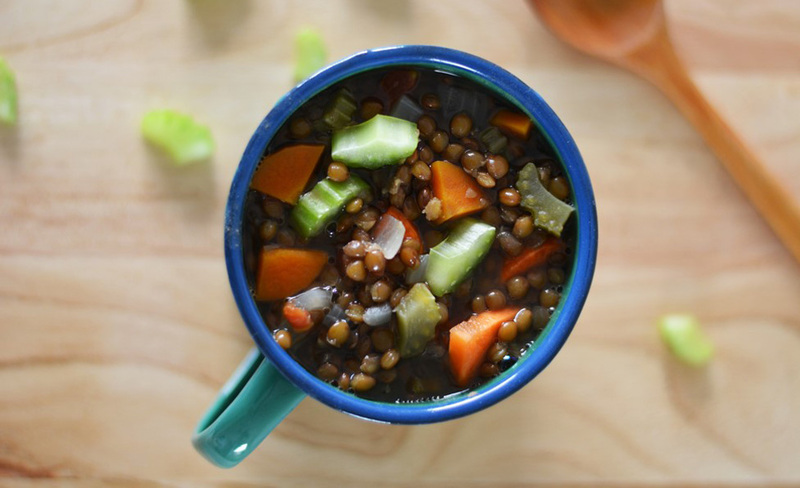 Peeling – using a kid-friendly peeler, let them peel and chop the veggies for my warming Lentil and Veggie Soup. 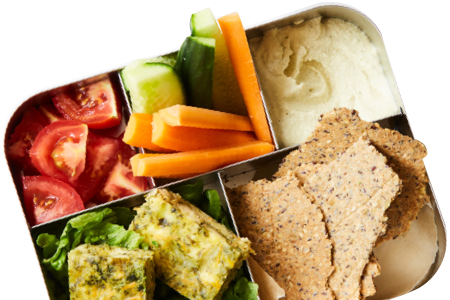 Lentils are full of protein and iron to keep your kids full of energy. Grating – buy a standing grater with a handle and keep watch to ensure your child doesn’t get too close to the end of whatever they’re grating. Fingers can easily be cut this way. Setting the dinner table – make family meals a cherished time by handing over this responsibility to your child.